Ancient Sanskrit texts of India are a treasure trove of knowledge. 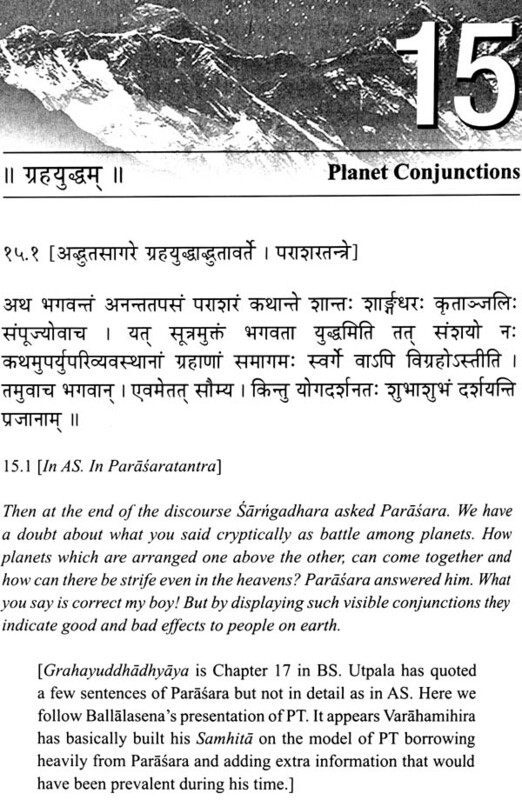 Parasaratantra Ancient Sanskrit Text on Astronomy and Natural Sciences, a reconstructed text with translation and notes by R.N. Iyengar is a fruition of a long journey of research and investigation into History of Science in India. 'The book is divided into 21 chapters with an intellectually lettered introduction. These chapters present a compilation of Sanskrit texts by Parasara, a sage and scholar from ancient India dispersed in the commentaries of scholars such as Varahamihira, Utpala, Ballalasenu and Bhaskarayogi living between 6'" and 13'" centuries. The text is accompanied by relevant archaeo astronomical analysis of Parasaras six season solar zodiac and observation of the heliacal rise and set of star Agastya (Canopus). 'This dates the astronomical tradition of Parasaratantra to 1350-1130 BC underlining its intellectual links with the antecedent Vedic texts and culture. 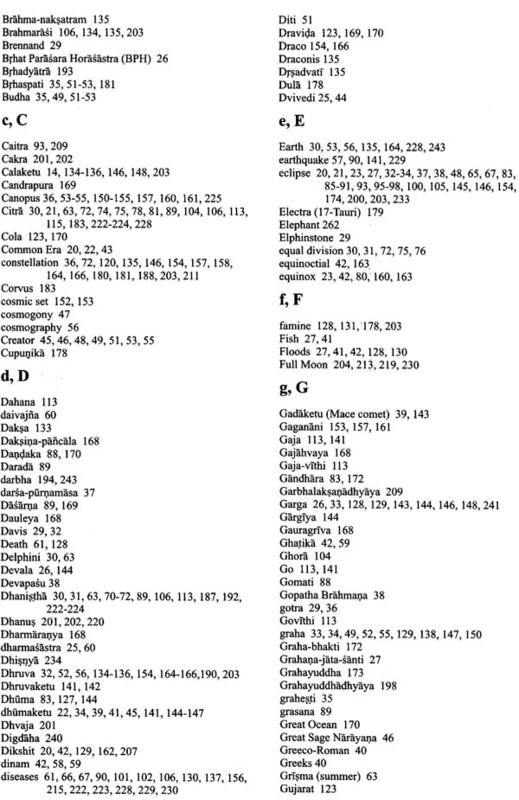 Parasaras list of twenty-six comets with year numbers is unique in ancient world literature. Through his book, Iyengar has thrown light on the knowledge that existed in pre-historic India on the sky, atmosphere, planets, stars, eclipses, comets, earthquakes, rainfall and even dreams. He also brings forth how people in ancient India inferred what the observed anomalies in celestial and natural events portended to the society and the common man. This formed the basis for the development of astrology in India. Parasaratantra, a Sanskrit text, combined with working translation and modern analysis by the author holds great appeal not only for scientists, historians and Sanskrit scholars but also for anyone interested in Indian history and culture. R.N. Iyengar B.E., M.Sc(Eng)., Ph.D., (b. 1943) is renowned for his contributions to Eathquake Engineering, Random Vibrations, Mathematical Modeling, Structural Dynamics and Nonlinear Systems. As faculty at HSc, till his retirement in 2005 as SIDC Chair Professor, Iyengar has published nearly 200 papers and technical reports, apart from writing general articles and books. He has lectured extensively in India and abroad by invitation. Recipient of the Visvesvaraya award of the Govt. of Karnataka and several other honours, Iyengar is Fellow of the Indian National Academy of Engineering, Indian Academy of Science, the National Academy of Science India and the Alexander won Humboldt Foundation, Germony He Held the distinguished Schmidt Chair at the Florida Atlantic University in 1995. He was director of CBRI-CSIR during 1994-2000. At, present, he heads the Centre for Disaster Mitigation at Jain University with a unique Fire Engineering Laboratory. He has been instrumental in the establishment of both the Centre and the Laboratory. Brought up in a family where Sanskrit was a revered language, Iyengar received basic training in Sanskrit form a very young age. His interest in the language given its cultural importance propelled him to become an avid reader of ancient text in the original. He has developed, combining textual evidence with modern methods, a new line of studies on ancient Indian chronology, including that of the Mahabharata. His findings on comets, eclipse, earthquakes, natural disasters and the Pole Star Dhruva in ancient India have attracted worldwide attention. Vedanga Jyotisa specifically deals with astronomical ideas. It has conceived a five-year cycle, a lunisolar one, called Yuga, during which there would be 5 solar revolutions, 67 Moon's sidereal and 62 synodic months, 1830 civil days, 1835 solar days and 1830 lunar days or tithis. The text has also given the divisions of a day and associated aspects, besides a list of 27 naksatras (asterisms) starting with Bharani and ending with Asvini. 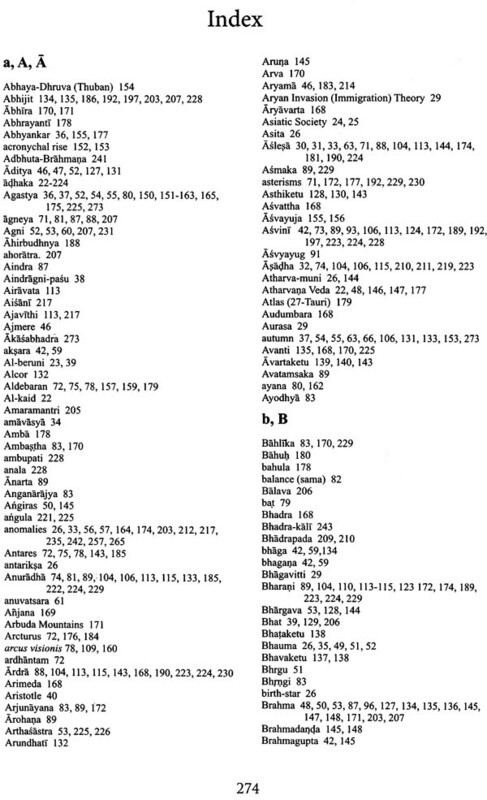 The naksatra list, but of 28 including Abhijit, also appears in the Yajurveda texts and the Atharvanaveda but beginning with Krttika. The Vedic literature too has several other astronomical ideas. VJ (c 1200 BCE) is attributed to one Lagadha, and the extant text - Rgvedic recension (35 verses) and the Yajurvedic (43) - might have been fixed in text form a little later. In the history of astronomical literature in Sanskrit, the text next to V J is the Aryabhatya of Aryabhata I (499 CE) which appeared after a long span of time of more than 1000 years. Moreover, the Aryabhatiya belongs to a new genre of astronomical texts, called the Siddhantas, which deal with mathematical astronomy. It is inconceivable indeed that there were no new astronomical studies and attainment in India during this long interregnum. 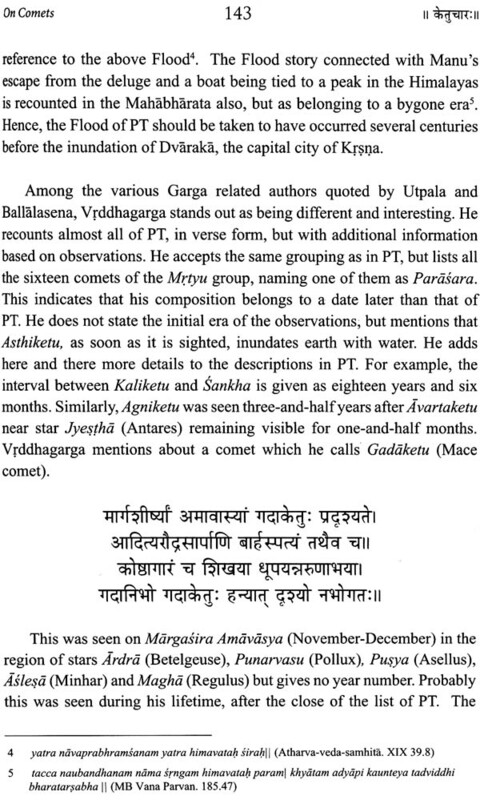 On the other hand, the five siddhantas redacted by Varahamihira, a junior contemporary of Aryabhata I, in the early sixth century CE, known as the Pancasiddhantika, (the name given by his scholiast, Bhattotpala who lived in the tenth century CE ) belong to a period much earlier than that of Aryabhata I. According to traditional lore and references made in the related literature, there are 18 siddhantas, the redactors or authors of which are: Surya, Pitamaha, Vyasa.Vasistha, Atri, Parasara, Kasyapa, Narada, Garga, Manu, Marici, Angira, Lomasa or Romaka, Paulisa, Cyavana, Yavana, Bhrgu and Saunaka. Several of them appear to have been lost and some of them are referred to, or partially retained, in later texts. The importance of studying these sources can hardly be over-emphasized. A few western historians of Indian astronomy like David Pingree, have opined that the Aryabhatan and later Indian astronomy were influenced by Hellenic astronomical ideas. Pingree even says that 'much of what we know about Greek astronomy between Hipparchus and fourth century A.D., can be found in Sanskrit texts'. He also states that Indian astronomers were ignorant of Ptolemaic astronomy till the seventeenth century. Contradiction of this kind apart, Pingree's assertion that 'because of the Indian tendency to modify intellectual imports and also of the corrupt nature of the earliest surviving texts, it is often difficult to determine precisely the nature of Greek texts on which the Sanskrit texts are based' is biased and hardly consistent. Pingree's approach, as of some other western savants, from the standpoint of historiography, leaves much to be desired. It would be an erroneous approach in history of science, if one were to conclude that if a scientific idea is present in a culture-area earlier than that in another culture-area, the latter should have borrowed it from the former, unless it is substantiated by undisputable pathways of transmission, including the concerned textual sources. Just comparing the contents without examining the cultural context is also an improper methodology. The period between the three centuries before and after the Christian era, was a creative one; for, it witnessed the emergence of the two medical classics, new ideas on atom ism, and revolutionary ideas of Buddhism, Tantrism and, more importantly, the formulation of the versatile decimal place value system. It is more than likely that this period also saw some fresh thinking on orbital astronomy including planets, which formed the basis of the Pre-Siddhantic astronomy and this could also have been a fountain-source for even the Alexandrian astronomical pursuits. A few other western scholars like Burgess, think of a common source of transmission and, in this respect, the Pre-Aryabhatan/Pre-Siddhantic astronomy and Vedic astronomical ideas merit our attention. Although we have some knowledge of Vedic astronomy, it is desirable, indeed necessary, that more systematic studies are undertaken to unravel especially the astronomical ideas hidden in Vedic symbolism and imagery. Likewise, the literature relating to the other siddhantas needs to be examined in depth. Realizing the importance of such studies and their historical value, Prof. R.N. Iyengar, hailing from a family of Sanskrit scholarship and himself trained in Sanskrit, though an engineer by profession, has been a pioneer in these studies over the past three decades. His meticulous studies have brought to light the knowledge of comets (dhianaketui and meteoritic showers even during the Rgvedic times, the astronomical significance of the Vedic Darsapurnamasa altar, Dhruva as ancient pole star, certain celestial luminaries associated with Krsna, eclipses and planets in the Mahabharata, besides the cycles of rainfall, earthquakes and the like, as recorded in ancient Sanskrit texts. Now, Prof. Iyengar has ably brought out a reconstructed text titled: Parasaratantra compiling the Sanskrit passages attributed to Parasara and recorded in (i) Utpala's commentary on the Brhatsamhita of Varahamihira; (ii) Adbhutasagara of Ballalasena, and (iii) Commentary named Utpalaparimala of Bhaskarayogi on the Brhatsamhita. 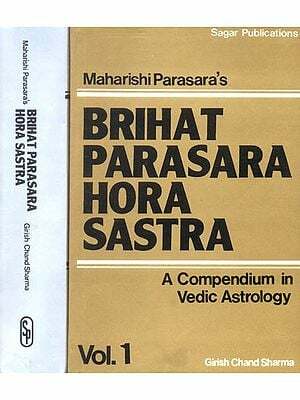 This composite text, the title of which is based on Utpala's commentary, is different from the other texts attributed to the name of Parasara, like Brhat-parasara-horasastra (a text on astrology), Krsi-parasara (a work on agriculture), Pardsara-smrti (a Dharmasastra text) and Parasara-agama. 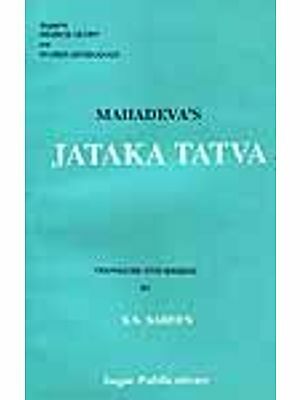 A notable aspect of this text is its listing of 27 naksatras beginning with Krttika like the Vedic texts, but omitting Abhijit, as in the Vedanga Jyotisa. Probably the Parasaratantra could belong to the Vedic tradition. This text, which is in prose, has 21 Sections and the Sanskrit passages have been rendered into English effectively, though not literally. They deal with divisions of time, planets, naksatras and their afflictions, matters relating to rainfall, earthquakes, astrogeographical aspects and most importantly, 26 comets (dhumketu) - a topic that has not been discussed so vividly in any other text in ancient time - as well as Agastya (Canopus, the southern star). Parasara was perhaps the first to state correctly the visibility periods of Venus in the east and west, the occurrence of lunar eclipses at intervals of six months, and fairly accurate statements about Jupiter, Saturn, and Mercury, all by his own observations. These and other expositions in the Pardsaratantra indicate that it could well have been the forerunner of the Pardsara Siddhanta, one of the eighteen Siddhantas as mentioned before. The Introduction by Prof. Iyengar is scholarly and lucid alike. All those who are interested in the History of Indian Astronomy are grateful to him for bringing out this valuable text which has enriched our knowledge of Pre-Aryabhatan astronomy. After the devastating Latur- Khilari earthquake of 30th September 1993 a Commission appointed by Government of India visited Bangalore for collecting information from scientists and engineers on how seismic studies were being carried out in India. In the meeting that took place an American scientist mentioned that since earthquakes repeat in the same tectonic province, South India, though geologically known as stable continental region, should have experienced earthquakes in the past. He quite forcefully remarked " ... but, with three to four thousand years of history, no one in India knows when and where the ancient earthquakes occurred in the country." This observation, factual as it was, prompted me to look into ancient literature for information on past natural disasters in the country. 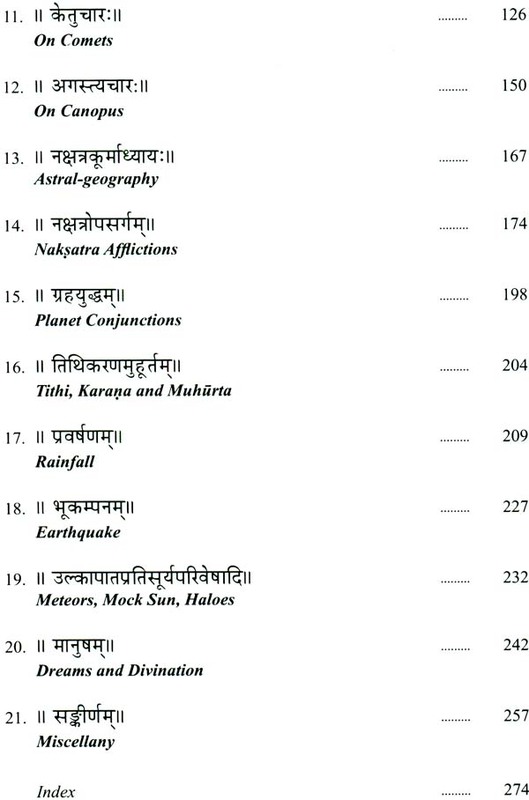 As is well known Varahamihira in his famous Brhatsamhita has a long chapter on earthquakes. But to my surprise I found that Varahamihira, was only a compiler of scientific topics prevalent in ancient India and not an original thinker. He depended on Parasara and Vrddhagarga for natural phenomena such as earthquakes, comets, eclipses and even rainfall as would be clear from the commentary on the Brhatsamhita by Bhattotpala, In any case as far as earthquakes were concerned, two thousand years ago our ancients had five broad identified seismic provinces in the subcontinent. Hence, it is ironical that there should be so much quibbling in modem India about seismic zones which, in the last fifty years, have been altered several times arbitrarily without scientific basis. Among the ancient scientific thinkers cited by medieval writers, Parasara attracted my attention and I started collecting texts attributed to him. Unfortunately beyond what is available in the published commentary of Utpala and the Adbhutasagara of Ballalasena I could not get at the original text or manuscript of the Parasaratantra. But the search about science in Sanskrit literature has been fascinating. To place the tradition of Parasara in proper context I had to go through the History of Science in India as expounded by Indian and western scholars. 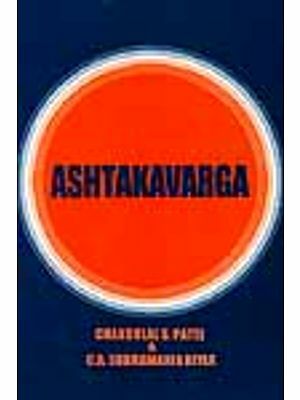 I had to wade through the Vedic texts, the puranas and the two epics for natural events that may have a bearing on what Parasara had to say. This made me realize that, contrary to the widely prevalent theories of History of Science, the roots of Hindu Astronomy were not planted in the country after either Chaldeans transmitted computational knowledge about eclipses or Greeks introduced their solar zodiac and planetary periods. While the work of Varahamihira definitely shows foreign influence, nothing is noticeable in the text of Parasaratantra that was available to him in 6th century at Ujjain, to his Kashmirian commentator Utpala in 10th century and to Ballalasena, the King of Mithila as late as 12th century CE. As I collected more and more information about natural events described in ancient literature it became clear that right from Vedic times we have had a legacy of observing and interpreting natural events however archaic and unintelligible it might be now. Parasaratantra represents a branch of original knowledge on astronomy and other positive sciences. The origin of this school, based on internal evidences, can be traced back to 14th_12th Century BCE. This date, glaringly at variance from the history of India as taught in our schools and colleges by mainstream historians and indologists, fuelled my curiousity to verify this chronological marker by methods of archaeo-astronomy. It motivated me to compile the statements of Parasara and subject them to a reality check. The present book is the result of such an exercise carried out over the last several years. Compilation of a Sanskrit text from different sources separated widely in time is a daunting task and I was quite hesitant to publicize my studies. But the constant encouragement I received from Dr. S.Y. Wakankar, while he was my colleague at Jain University as Professor for a period of two- and-a-quarter years, provided me with the confidence to bring out the Parasaratantra text in book form. Prof. Wakankar not only helped me with difficult Sanskrit passages but also kindly read through different versions of my manuscript suggesting corrections and improvements. I am thankful to him for his invaluable support culminating with his Sanskrit foreword to the book. 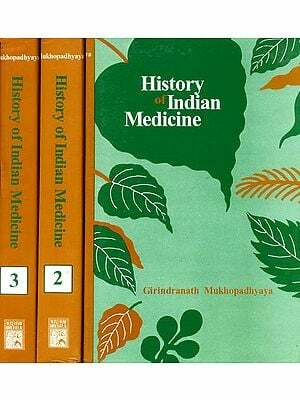 Dr. B. Y. Subbarayappa is the doyen of science historians in India. It has been my privilege to meet him often to discuss the subject of ancient Indian astronomy. He found time to read through my preliminary manuscript and suggested several improvements. Further, acceding to my request Dr. Subbarayappa has written a scholarly foreword to the book which highlights the importance of tracing history of astronomy and other sciences in ancient India starting from Vedic times, without preconceived notions and prejudice. I am grateful to him for his advice and encouragement. Sri Y.H. Sateesh kumar presently pursuing his doctoral degree in Astrophysics at Baylor University, USA has been a constant source of enthusiasm. When he was here at the Jain University, almost every day we used to discuss astronomy, both modern and ancient, and how it has enriched Indian culture. He has read several chapters of this book and offered useful comments for improvement. My stay with Jain University after retiring from the Indian Institute of Science has been pleasant. Dr. Chenraj Roychand, President, Jain University Trust, is a great patron of learning. He has fully supported me in developing the Center for Disaster Mitigation and also has encouraged me to initiate studies on Indian knowledge traditions. He recognizes the importance of bridging the divide that exists in the country between the ancient indigenous intellectual schools and the more recent western type university education. When I showed him the manuscript of my book, he offered to get the work published by the Jain University Press. I am indebted to Dr. Roychand for his continued support and encouragement. It has been a nice experience to work with the staff of the Jain University publication unit. Notwithstanding the difficulties faced in combining the text in different scripts and styles with tables and figures, they have handled the book professionally with great care. They have cooperated with me beyond my expectations in planning, designing and bringing out the book on time. My thanks are due to every one of the JUP staff. The book is in Sanskrit though, in line with such technical literature, the text may not be following rules of grammar strictly. However, anyone with a working knowledge of the language would be able to follow the original without difficulty. If younger scholars in our Sanskrit universities derive inspiration from this book to extend their horizon of study beyond the beaten track I consider my efforts amply rewarded. 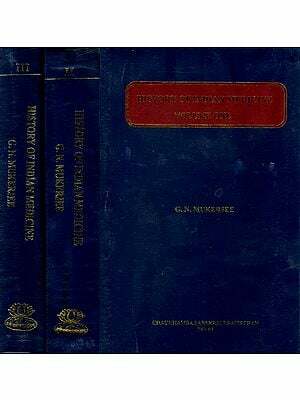 The working translation and notes are aimed at the general reader who likes to know about positive sciences, particularly astronomy, cultivated in India long before the advent of Mahavira and Buddha, two well known historical personalities belonging to the middle of the first millennium BCE. I hope scientists, indologists, historians and culture enthusiasts exploring the evolution of Indian intellectual traditions and concepts rather than just the chronology of kings and wars will find themselves on common ground in this book Parasaratantra. India, home to one of the most ancient surviving civilizations, naturally has a long tradition of science and technology. This covers such diverse fields as Astronomy, Architecture, Agriculture, Mathematics, Medicine, Metallurgy, and Music to name only a few. History of Science and Technology in India is a well researched field. There are many publications covering the historical development of some of the above mentioned subjects in concept and in practice starting from the most ancient available literary source, namely, the Rgveda. Among these, perhaps astronomy takes the lead in terms of the number of books and papers written. This is not surprising, since the number of ancient source books available on astronomy is very large'. Dikshit', the first person to write a definitive History of Indian Astronomy, traces the subject in two distinct periods called pre-siddhantic and siddhantic. The word siddhdnta in this context may roughly be translated as mathematical or computational astronomy. The content, outreach and limitations of siddhdntic astronomy are well known, with numerous texts starting roughly from the early centuries of the Common Era (CE). A typical feature of the siddhanta texts is their postulation of a long period of time called kalpa in which planets are taken to execute integral number of revolutions. These texts contain long chapters on eclipse calculation along scientific lines discarding the legend of an extraneous dark planet Rahu causing solar and lunar eclipses. 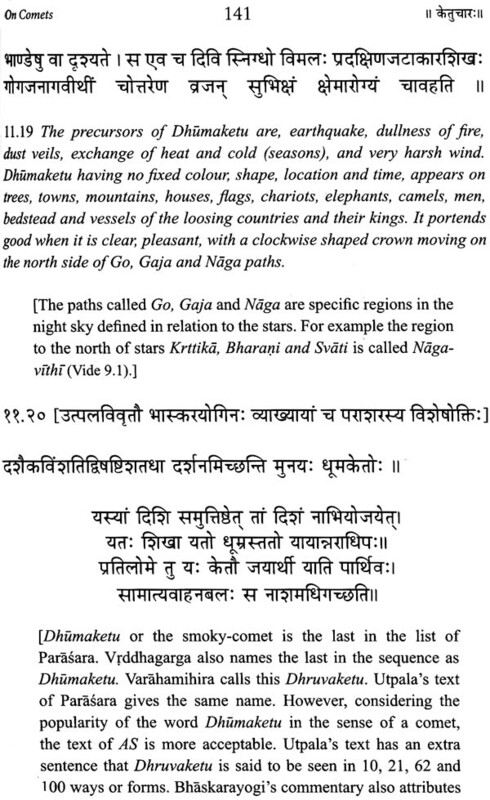 Samhita texts written in the same period knew about comets and meteors by their generic name ketu and ulka respectively, but comets were thought to be not amenable for computation. 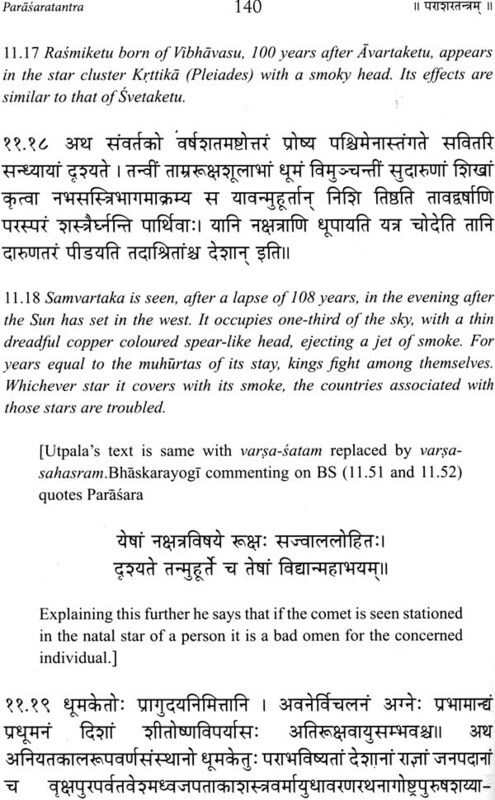 Varahamihira in his Brhatsamhita (BS) clearly takes ketu as comet only. He also concedes that he is writing what his predecessors Parasara, Vrddhagarga and others had said about comets. 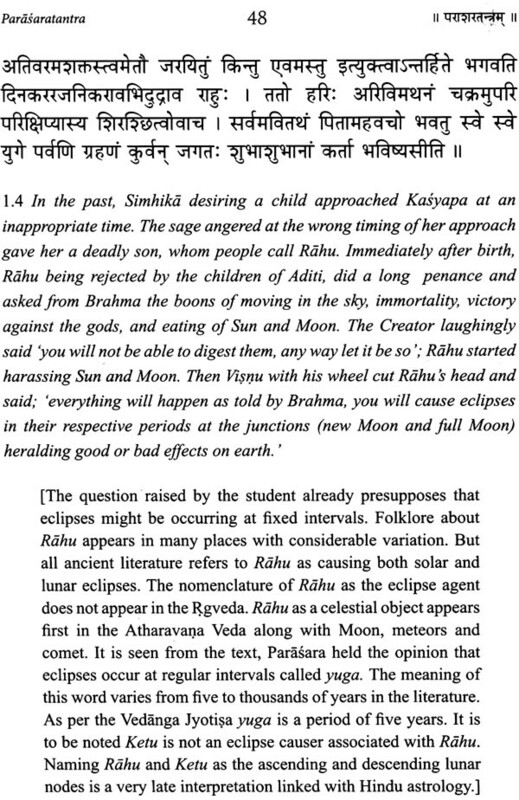 Sastry and Sarma, the learned editors of the Pahcasiddhantika of Varahamihira, point out that the Paulisa-siddhanta denotes the two lunar nodes as Rahu s-head and Rahu 's-tail, both being Rahu, the eclipse causer as per the older tradition of the puranas', In the astronomical texts, pata was the standard word for the nodes. Gradually, the science of eclipses as it diffused to the lay public got overlapped with the mystical concepts of Rahu the dark planet to be equated with the ascending node of Moon. Since there are two nodes and eclipses are possible near either of them, the confusing practice of naming the descending node as ketu arose. Since the nodes are 180 degrees apart, in recent centuries, due to popularity of horoscope astrology, the above nomenclature has been accepted as valid by several sections of the society that derive inspiration from Sanskrit literature. This has gone to the extent of using the ancient realistic synonyms of ketu, such as sikhi(one with a tuft) and kesi(hairy) with the invisible lunar node. 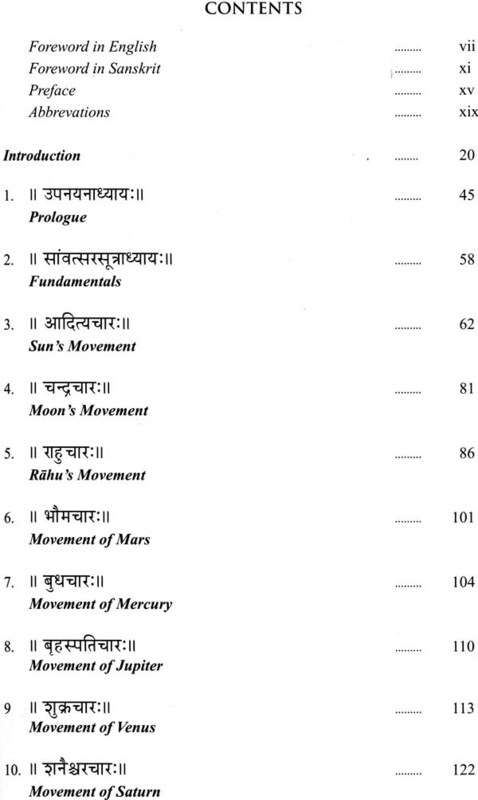 Sastry and Sarma rightly point out" ... there is no authority in astronomical works or puranas to bring in ketu here." Nilakantha (18th Cent. CE) in his famous gloss on the Mahabharata (MB) interprets almost all the astronomical verses of the epic as being astrological. In one place, where a white object is said to be near star Citra (Spica), he interprets this object as ketu. Further, surprisingly he explains the original statements as indicating that Rahu and Ketu, who, according to him, should always be 1800 apart, were stationed in the same sign during the Great War", This implies that the ascending and descending nodes had coalesced, which by no stretch of imagination can be taken as a rational interpretation of the original verse of the Great Epic. Max Mueller while translating the Maitrayani Aranyaka Upanisad (MAU 7.6) of the Krsna Yajurveda takes the words Rahu and Ketu as the ascending and descending lunar nodes". 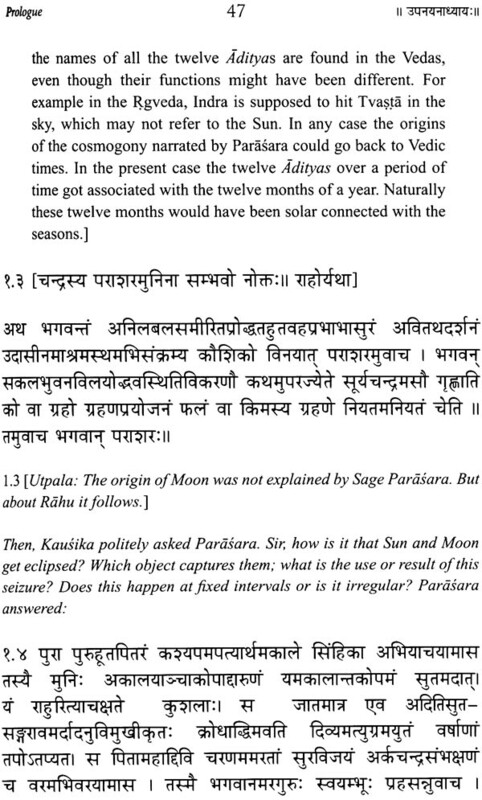 This wrong translation alleges existence of the knowledge of lunar nodes in MAU pre-empting proper dating of its contents since the concept of Moon's orbit intersecting the ecliptic at two imaginary points in space is evidenced only in Sanskrit astronomy texts appearing at the begining of the Common Era. The Atharvana Veda has a prayer for the celestial objects the Sun, the Moon, the planets, Rahu, the dhumaketu and meteors". But Macdonell and Keith describe the word dhumaketu as 'smoke bannered' an epithet of deaths. This meaning has to be rejected in the overall context of a 'peace hymn' to personified celestial objects. Neugebauer, a renowned historian of astronomy, in a short note investigated the background of the Islamic pseudo-planet or comet Al-kaid for which an ancient table of motion from Byzantine literature is available in the Vatican library". He points out how the word kaid has been correctly traced to the Hindu ketu on linguistic grounds by some, but mistakenly translated as the descending lunar node. The above table actually refers to a comet, with a stated period of 144 years, observed probably in 722 CE near about the vernal equinox. This object has not been yet identified by modem astronomy, but there is no basis to treat this as the invisible descending lunar node. The above examples should suffice to demonstrate that the historical roots of Indian Astronomy can hardly be understood without investigating ancient concepts and theories about the eclipse causer Rahu and the comet Ketu. Surprisingly traditional scholars, historians of science and modem astronomers have generally ignored Indian comet observations as non- existent and blindly interpreted ketu as the descending node, leading to conclusions that are at times glaringly absurd. 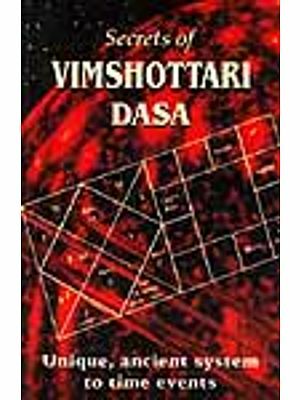 For the pre-siddhantic period of Indian Astronomy we have only one published text namely, Lagadha's Vedangajyotisa'" (VJ). This text is solely devoted to the calendar and is silent about planets, eclipses and comets. However, several scholars have pointed out that a class of texts called tantra or samhita, containing astronomical information, authored by Parasara, Vrddhagarga and others should have existed in the pre-siddhantic period. These were preserved through oral tradition over a period of time before someone recorded them in script form. Unfortunately copies of the texts of these authors are not available in their original form, except for quotations by later authors. 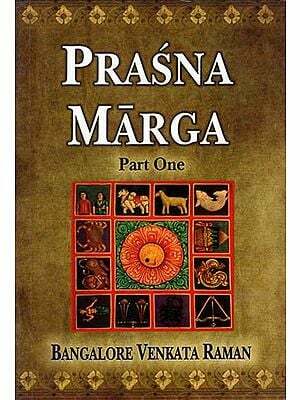 Between Parasara and Vrddhagarga, the former is more interesting since his statements are in prose. Vrddhagarga in verse follows Parasara closely with some important additional information. 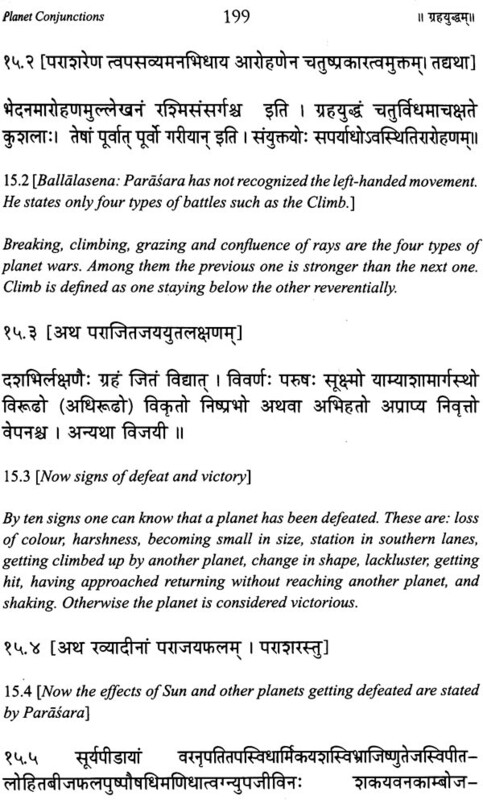 Al-beruni in the 11 th century knew about the ancient Hindu astronomer Parasara and his samhita", Varahamihira in his Brhatsamhita (8.8-13) while describing the motion of Mercury attests Parasara and Parasaratantra by name. But nowhere has he literally quoted the original tantra even though in many places he has repeated the opinions of Parasara including visibility numbers for Mercury. Hence in the interest of tracing the history of Indian astronomy it becomes necessary to find out what was known to Parasara several centuries before Varahamihira who lived at Ujjain in 6th century CE. Fortunately, there are reliable sources from which we can reconstruct, in part, the text of Parasara. These are in the form of long quotations contained in the commentaries of Utpala (10" Cent.) and Bhaskarayogi (l3th Cent.) on the Brhatsamhita (BS) and the encyclopedic text Adbhutasagara (AS) started by Ballalasena but completed by his son Laksmanasena (l1-12th Cent.). 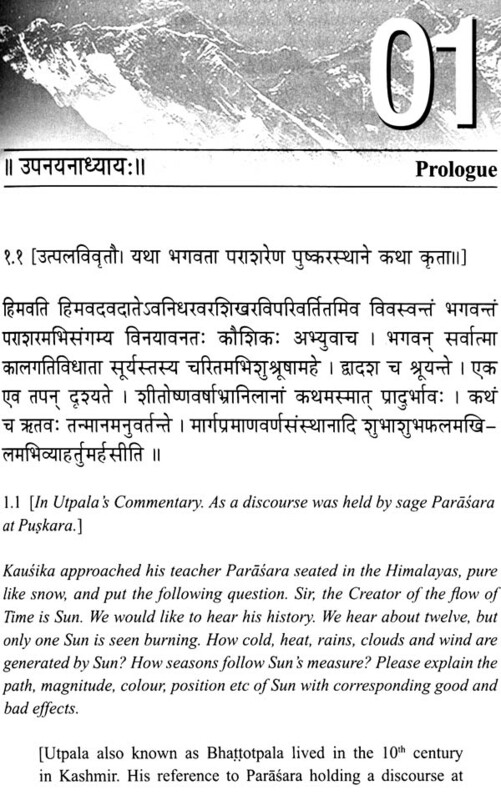 Parasara's text is in prose a literary form rare in Sanskrit. Many of his sentences end with the word iti similar to the prose of Vedic Brahmana texts. William Jones, the famed discoverer of Sanskrit and its grammar for the Europeans and founder of the Asiatic Society in 18th century, published an essay on Indian chronology 13. He wrote referring to the commentary on BS by Utpala: "We come now to the commentary, which contains information of the greatest importance. By former sastras are meant, says Bhattotpala, the books of Parasara and of other Munis; and he then cites from the Parasara Samhita, the following passage, which is in modulated prose and in a style much resembling that of the Vedas." Since there is no reason to disbelieve this statement, it follows Jones had access to a manuscript of Utpala's commentary on BS containing some sentences attributed to Parasara marked with Vedic modulation marks. 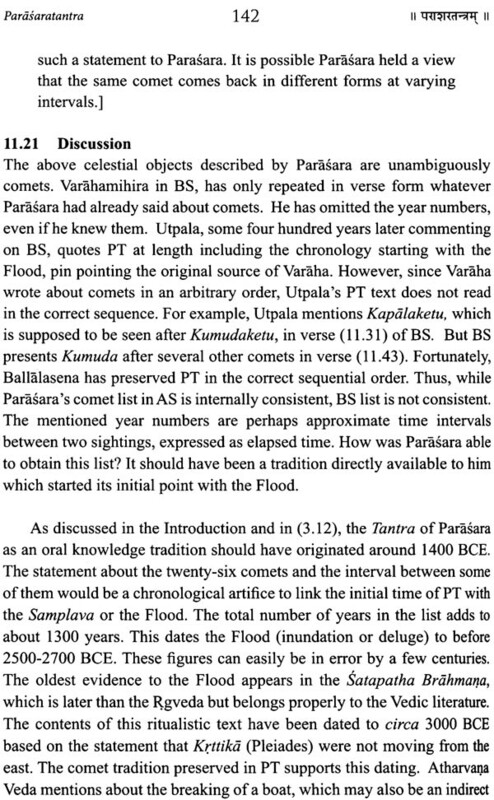 This implies Parasara's text would be carrying information belonging to a period more ancient than Yaska's Nirukta, Vedic Siaras and Panini's grammar. It could be older than some of the Upanisads too. As the original manuscript to which Jones had access is not available for our scrutiny, existence of an accented text in Vedic format needs to be verified with the help of authentic old manuscripts. The specific passage which Jones cites indeed contains information of the greatest importance and will be discussed later.